Advanced nutritional technology for health and vitality into old age. Legal Category: A complementary feedingstuff for horses. Package: 1.5kg, 3kg & 10kg tubs. 1.5kg fed at 75g per day will last 20 days. Instructions: Introduce gradually over 5 days. Working and stabled horses 3 measures (75g) per day. Resting/light work 2 measures (50g) per day. Pro rata 0.5 measure per 100kg body weight for smaller animals. Storage: Store in a dry place and replace lid after use. Ingredients: Copper Sulphate, Sodium Chloride, Calcium Iodate, Choline Chloride, Cobalt Sulphate, Ferric Oxide, Manganese Oxide, Sodium Selenite, Zinc Oxide, Potato Protein, Saccharomyces Cerevisiae (non active), Mineral Oils, Fats, Cobalimine, Thiamin, Pyridoxine, Riboflavin, alpha-tocopherol. NAF Veteran Supplement is a comprehensive supplement designed to provide all the requirements of the older horse. The strains of competing and an unnatural diet can accelerate the ageing processes which affect all horses. Elderly horses often have problems with teeth, leaving them unable to chew efficiently. In addition to regular veterinary attention feeding an easily digestible diet will help counteract dental problems. A reduction of mobility can also affect diet by physically reducing the amount ingested as those horses retired to grass will no longer freely roam to forage for food. This is particularly important as it comes at a time when the animal has an increased energy demand for maintenance. Once ingested, studies show that older horses suffer from reduced absorption in the gut and can develop chronic low grade diarrhoea. They also have an increased demand for certain nutrients, those being good quality protein to maintain muscling, and calcium and phosphorous for bone integrity. 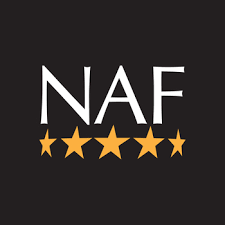 NAF Veteran is a comprehensive supplement designed to provide all the requirements of the older horse. The nutrients are present in a bio-available form, readily assimilated by the horse and include L Lysine, the most important amino acid, which forms high quality protein. Di-calcium phosphate ensures both calcium and phosphorous are present in the optimum ratio for efficient absorption; while probiotics and yeast replace any beneficial bacteria lost from the gut, hence maximising absorption and reducing the risk of digestive upset. Organic sulphur, important for bone, circulation and connective tissue, is added to provide the nutritional support to maintain joint integrity in the older horse. Veteran also includes a broad spectrum of micro-nutrients for general vitality.